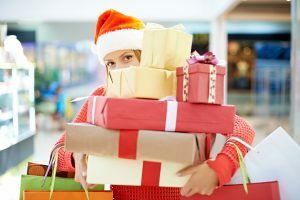 This Holiday Season, Declutter and Donate! November is the month to be thankful, to enjoy time with our families and consider all our blessings. That makes it a great time to donate items you don’t need anymore. Why donate items you don’t use anymore? First of all, it helps people in need. Temperatures are finally dropping in the metro Atlanta area; homeless shelters and other organizations that serve those in need often find their resources strapped right now. In this time of goodwill and thankfulness, isn’t it great to give back to our communities? Second of all, it frees up space in our homes to prepare for the holidays! At Mr. Junk we’re pretty excited about decluttering–we love the pleasant look and calm feel of a tidy home. Plus, we love being able to find things when we need them! The winter holidays often bring an influx of guests, food, and gifts, so get prepared by paring down early. While you’re planning what to declutter and donate, bear in mind a couple of easy tips. Be ruthless in what you select to declutter, but don’t donate trash! The easiest way to handle this is to get rid of everything you don’t need, and then contact Mr. Junk to haul it away. When we pick up a load of junk, we don’t just toss it in a landfill–we sort through each piece and donate or recycle everything we can before we ever throw anything away. Plus, you only pay for what we haul, with no hidden fees. This holiday season, let’s work together to get your house organized and your excess stuff to people who need it!